Oops! June sneaked up on me and I'm a little late with the craft-along post. During June, I will work on a craft project for the monthly theme. Around June 28, I will post my completed project. You can share a link to your project on that post or at any time during the month on this post. 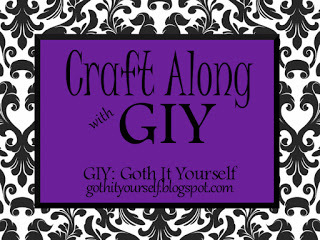 On June 30, I will compile the links on the Craft Along with GIY page. Ok... So I for sure have something for this since I made a pair of earrings. And a pair of rings. Here's my project for the latest Craft Along theme.